It says much about the UN Secretary-General that the two men widely regarded as the greatest to hold the office went in with the lowest expectations. Dag Hammarskjöld was an unknown Swedish civil servant who found out he was a candidate for the position when he received the telegram offering it to him. He went on to expand and define the role. His death in 1961 en route to the Congo crisis froze that legacy, not unlike the Camelot White House prematurely departed by JFK two years later. Sergey Lavrov criticised the slow pace of Annan’s reform agenda, observing that God had taken less time to create the Earth – to which Annan responded that the Almighty had the great advantage of working alone, without committees and without nearly 200 member states. Kofi Annan, by contrast, was thought to be a known quantity. His appointment in 1997 was a rebuke to Boutros Boutros-Ghali, the only Secretary-General to be denied a second term. It was an American veto that had sealed Boutros-Ghali’s fate and unsurprising that his successor, Annan, was initially seen as “America’s man”. The only Secretary-General to have risen up within the ranks of the UN, it was assumed by most that he would be more “secretary” than “general”. The barriers to greatness are considerable. Early in his term, Russian ambassador (now Foreign Minister) Sergey Lavrov criticised the slow pace of Annan’s reform agenda, observing that God had taken less time to create the Earth – to which Annan responded that the Almighty had the great advantage of working alone, without committees and without nearly 200 member states. That was a rare flash of wit. For the most part, Annan was a charismatic cipher, a blank slate onto which supporters projected their hopes and aspirations for the UN. He was a challenge for biographers, unreflective on his role overseeing peacekeeping during the Rwandan genocide, workmanlike in his approach to the next gathering storm. Yet, like Hammarskjöld, history gave him the chance to redefine the role of the UN. Following the legally dubious Kosovo intervention by NATO in 1999, the doctrine of Responsibility to Protect, or R2P, was coined. Though its normative impact was negligible – the limits are on display in Syria even now – R2P was the last nail in the coffin of pure Westphalian sovereignty. Annan did not conceive of R2P, but he recognised and embraced its rhetorical power. 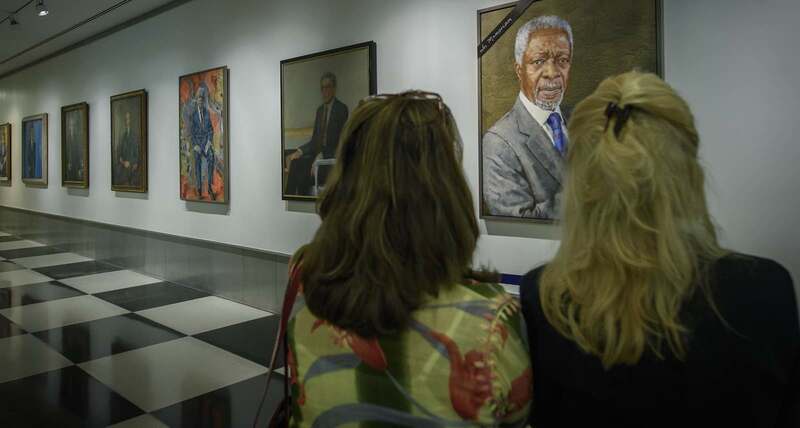 But it may be Iraq for which Annan is best – and worst – remembered. Once more, his impact was rhetorical. After being asked three times during a BBC radio interview whether the 2003 war was “illegal”, he finally agreed that indeed it was. Not coincidentally, this marked the point at which Washington’s support for the Secretary-General once regarded as “America’s man” evaporated and the rhetoric about Annan’s alleged involvement in the oil-for-food scandal began to escalate. Though occasionally described as a secular Pope, former UN official Brian Urquhart once noted that the Secretary-General routinely lacks a church. The official job description of the “world’s diplomat” in the UN Charter is that he serves as Chief Administrative Officer of the Organisation. The first Secretary-General, Trygve Lie, memorably welcomed the second, Hammarskjöld, when he arrived at New York’s Idlewild Airport, by saying he was about to start “the most impossible job on this earth”. 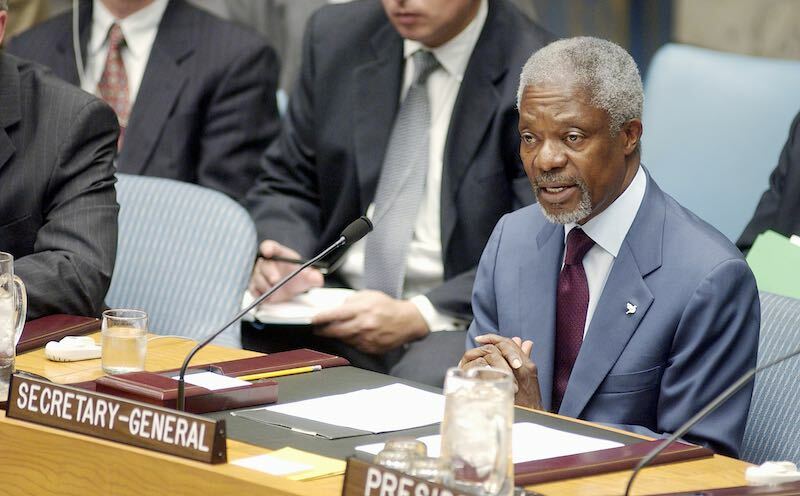 Annan was the seventh Secretary-General, and the second, together with Hammarskjöld to win a Nobel Prize. In the foreword for a book I edited, published just after he stepped down in 2007, he highlighted that there were two discrete aspects to the role. Annan’s efforts to do all these things: to remain impartial but not neutral, to protect the weak while endearing himself to the strong, are easily dismissed as naïve or an exercise in futility. Yet these were the goals to which he devoted his life, through a career in the UN and continuing as an ambassador for peace until his passing earlier this month. That his efforts were, at best, only partly successful does not diminish the greatness of his legacy. After all, as Hammarskjöld himself once said, the UN was not created to take humanity to heaven but to save it from hell. Simon Chesterman is Dean of the National University of Singapore Faculty of Law. His books include the edited volume “Secretary or General? The UN Secretary-General in World Politics” (Cambridge University Press, 2007) for which Kofi Annan wrote the foreword.